Rare Village 10 Free-standing single-story home, 2 BD + Den, attached 2-car garage, lovingly maintained & improved by its original 40+ year owners. Fabulous kitchen remodel features Limestone slab counter-tops, Custom Maple cabinetry, WOLF Electric Oven, Cook-top, Vent hood & Warming drawer. Built-in Prep cabinet, MIELE dishwasher, MARVEL wine fridge, KITCHEN-AID fridge, MAYTAG W/D. Wilson-Art laminate flooring, full Dual pane windows, Wood plantation shutters. Master bath remodel features Marble slab Counter-top, Custom Maple cabinetry, CORIAN shower enclosure. 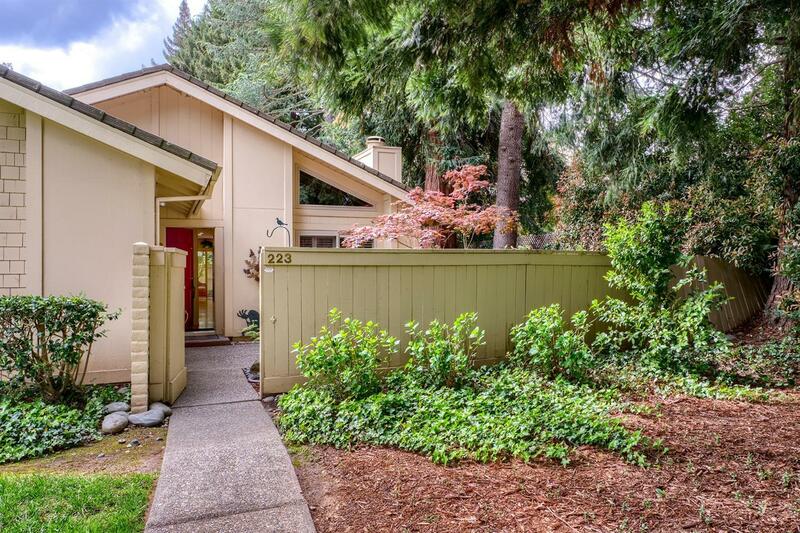 Two beautiful, professionally landscaped patios (front & back), plus gated side-yard.